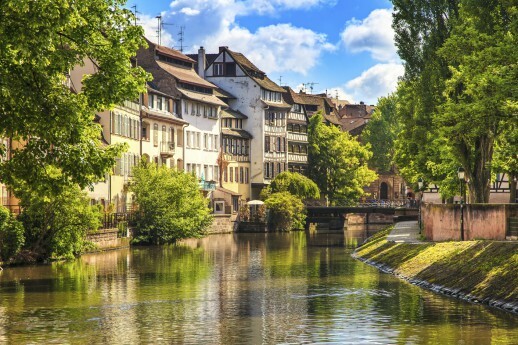 Winding its way through Switzerland, Germany and France before spilling into the North Sea in the Netherlands, a cruise along the Rhine offers a relaxed and efficient way to see Europe. There are a huge range of cruise operators, itineraries and experiences to choose from; to help you decide which cruise is right for you, our personal travel managers have picked a few of their favourites to get you started on your own European river expedition. With its mix of vineyards, castles, villages and cliffs, the Middle Rhine is popular due to its historical significance, with UNESCO recognising it as a World Heritage site in 2002. This region is home to many myths and legends, including the Lorelei Siren; which is said to have beckoned ships to their ruin along this section of jagged coastline. Operating between Cologne and Mainz, the voyage typically takes up to 14 days to complete and is at its best during the warmer summer months. Cruises running in July and August coincide with the annual celebration of the wine harvest season, in which sections of the Rhine are lit up with fireworks and flares. Accompanied by wine and folk festivals on the shore, ‘Rhine in Flames’ brings in thousands of visitors annually to each of its five locations: Bonn, Bingen, Koblenz, Oberwesel and St. Goar. Celebrated with hilltop fireworks and more than a thousand blue flares, enjoy a leisurely cruise as a chorus of colour explodes high above the backdrop of mountains, castles and vineyards. As the mercury drops, the towns and cities along the Rhine are transformed, with decorations, snow and Christmas Markets heralding the start of the festive season. The number and frequency of Christmas voyages is ever increasing on the Rhine. Historically, Christmas voyages were only offered along a handful of European rivers. These days, Christmas cruises are extremely popular and tend to sell out well before departure. Make sure your winter wonderland becomes a reality by booking well in advance. Ring in the New Year as you cruise through historic riverside towns and celebrate local festivities. On New Years Eve, cruises will often have an orchestra on board with a mix of contemporary and traditional European tunes to waltz to over the course of the evening. And if you overindulge on Champagne, wont have far to retire for the evening before feeling refreshed the following morning as you spend New Year’s Day relaxing portside. To book the ultimate river cruise on the Rhine, contact your personal travel manager or find one here.